Gambling in Russia is legal in only four regional subject areas, and in 2009 was made illegal in all other areas of Russia. In 2009, gambling was banned almost everywhere in Russia. The only exceptions are four specially arranged zones in the Altai, Krasnodar, Kaliningrad, and Primorsky regions. Gambling has been a major policy problem for the Russian government since the early 21st century. The problem was the rapidly increasing number of slot machines and gambling houses, including casinos, spreading all over the country. This caused a little concern for the government. According to city officials, after the year 2002 there were 58 casinos, 2,000 gaming rooms and approximately 70,000 slot machines in Moscow. It became a greater problem for the government because the younger population was widely exposed to the obtrusive advertising of gambling houses. Teenagers missed school to crowd around slot machines hoping to win some money. This behavior affected the society’s welfare in a way that was external to the market, thus, giving rise to a negative externality. Experts from the Russian Association of Gambling Business Development claimed that approximately half a million people on a regular basis indulged in gambling in the capital city of Moscow. At the same time, city psychiatrists, who met with people addicted to excessive gambling, provided quite different information arguing that the number was much higher. “The head of the extra-hospital aid in the National Narcological Scientific Center Taras Dudko says that the number of people regularly going to Moscow casinos, bookmaking offices and gambling houses is over 1.5 million people”. According to marketing research by Bookmaker-Ratings, in Russia from May 2016 till May 2017 services of illegal offshore bookmakers were used by 1 million 410 thousand players, services of legal Russian bookmakers – by 820 thousand players. Additionally, money laundering was another concern of every city government that failed to collect estimated tax revenue from gambling businesses, that kept the profits and did not share them with the city by avoiding tax payment. These were the major rationales for the government to get involved and implement a policy on gambling restriction. One of the policy solutions to solve the gambling problem in Russia was proposed in the form of limiting the number of gambling establishments throughout the country. Additionally, the Moscow officials proposed to bar slot machine parlors within 500 yards of a residential area, which would force operators out of all urban areas in the country in order to protect the young generation from being tempted to lose money using slot machines. The major policy problem about excessive gambling in the Russian society and their people’s continuous discontent with the spread of gambling houses all over the country finally led to the implementation of federal policy. Russia closed down its casinos overnight as gambling was banned nationwide. Thus since July 1, 2009, according to the Federal Law № 244 “On state regulation of organization and management of gambling”, the gambling business in Russia has been allowed only in four designated zones. The ban was to protect the health of society, and was expected to put an end to the era which witnessed an eruption of gambling fueled by a lawless business culture, which caused great costs to the society. Despite the ban, gambling continues working, pretending to be Internet cafes, lottery clubs, nightclubs. At the end of 1927, the People’s Commissar of the Interior presented a report devoted to gambling and the gaming business existing at that time to the RSFSR SPC. The main idea voiced through the report was that its incompatibility of an idle, bourgeois pastime with the true spirit of the working proletariat. And, regardless of the rather modest figures in the gaming sector (for example, only 4 small gaming houses operated in Leningrad at that time), the key prohibitive provisions in the report were approved. All this led to a ban on the opening of gambling houses in worker districts, it was followed by a ban on gambling in the entire districts, and later, on May 8, 1928, by the resolution of the USSR SPC, all Soviet Republics were instructed, the reasons not being explained, "to take measures on the immediate closure of any facilities for card games, roulette, lotto and other kinds of gambling". The closure of gaming houses and the gambling ban were pushed by the penal policy course shaped by the Soviet state, providing for overall reinforcement of criminal sanctions in the country and the modification of the state's penitentiary policy upon the whole. Later, lotteries were also restricted. On June 6, 1928, the Workers-Peasants’ Government of the RSFSR issues the resolution, "On Banning the Draw of Liquors in Lotteries". First, on January 1, 1930, the USSR SPC issues the resolution "On the Procedure of Issuing Permits for Lottery Arrangement", and then, on August 31, 1932, another USSR SPC Resolution #1336 was announced, "On the Regulation of the Lottery Business". The first slot machines which appeared in the country quite lawfully, were installed only in 1988 in hotels which were part of the USSR State Committee of Foreign Tourism (Goscomintourist). Within the system, the All-Russian Business External Trade Union (VHVO) "Intourservice" is set up, developing new kinds of additional services for foreign tourists, payable in free convertible currency. And private businesses have no access to gambling operations. Despite an eagerness to deal with slot machine installation and operation, the Soviete authorities allowed it only within its state structures, only as an experiment. To be on the safe side, there was a legal reminder that the business still cannot be entered. On December 29, 1988, the Council of Ministers of the USSR issued another resolution, this time "On the Regulation of Certain Activities of Cooperatives According to the Law on Cooperation in the USSR", which, in particular, stressed that cooperatives are not entitled to perform gambling operations. On August 23, 1989, the Soviet government lifted its ban on gambling and opened the first gambling house in Moscow and later, the first casino was opened in the capital city’s Savoy Hotel. Poker in Russia was very popular during the collapse of the USSR, when people started being interested in Western culture and values. In the Soviet Union it was possible to play poker only in cellar clubs or the casino. In addition, players often gathered in private flats. By the end of the 90s it was the first attempt to hold poker tournaments, but it did not get the widespread popularity at the time. In 2004, the Law #142-FZ “On Gambling Tax” being in effect for a sixth year, Chapter 29 “Gambling Tax” of the Russian Federation’s Tax Code came into effect. A new and the most complicated stage in the area of gambling taxation began. As of January 1, 2004, gambling tax became regional and its receipts are transferred to the budgets of the Federation’s constituent entities. As of 2004, each region was entitled to independently determine the gambling tax rate within the limits provided for by the Law #142-FZ “On Gambling Tax”. The taxation rate for slot machines with cash winnings was 1,500 to 7,500 roubles and for gaming tables, totalisator cash desks and bookmaker cash desks – 25,000 to 125,000 roubles. Any previous privileges with regard to the gambling tax were cancelled. The state regulation of activities involved in gambling organisation and arrangement was performed by the government, by the federal executive agency authorised by the government to perform functions on standard and legal regulation in the area of gambling organisation, by other federal executive authorities within their competence and by the governmental bodies of the Russian Federation’s constituent entities, authorised to perform the functions of gaming zone management. Gambling may be arranged solely by legal entities registered according to the set procedure within the Russian Federation. Gambling cannot be arranged by legal entities, the founders (participants) of which include the Russian Federation, the Russian Federation’s constituent entities or local government authorities. The law contemplates that four gaming zones will be created within the Russian Federation; meanwhile no more than one gaming zone may be created within one and the same constituent entity. If Legal Requlation of Gambling in Former USSR Countries and Foreign States the created gaming zone belongs to several regions, no other gaming zones may be created within their territories. Gaming zones are to be set up within the Altay, Primorie and Kaliningrad regions and on the border between the Krasnodar region and Rostov region. The procedure of gaming zone creation and liquidation, their names, borders and other characteristics, will be determined by the government upon an agreement with the government bodies in constituent entities. The existence of gaming zones has no time limits. A decision on the liquidation of a gaming zone by the government may not be made until ten years after it was created. A ruling on the creation of a gaming zone may set requirements for certain types of gambling facilities, as well as other restrictions. Gambling facilities, except bookmakers’ offices and totalisators, may be opened only within the gaming zones according to the procedure set out by the law. Furthermore, the boundaries of the gaming zones should have been outlined by July 1, 2007, whereas they cannot be created on land in populated localities. The names of the territories are "Siberian Coin" (Altay), "Yantarnaya" (Kaliningrad region), "Azov-city" (Rostov region) and "Primorie" (Primorie region). The gambling operator should submit the data needed for exercising control of compliance with the legislative requirements. The net assets of the gambling operator, throughout the entire period of their activities, cannot be less than: 600,000,000 roubles (for operators of casinos and slot halls) and 100,000,000 roubles (for operators of bookmakers’ offices and totalisators). The procedure for the calculation of the value of the gambling operator’s net assets will be set by the Ministry of Finance, while the Government may establish additional requirements for gambling operators. The gambling operator shall secure the personal safety of gamblers, other visitors to gambling facilities and their employees during their stay in the gambling facility. People under 18 cannot be the gambling operator’s employees or visit a gambling facility. Gambling facilities may be located only in buildings which are capital construction projects. Gambling facilities cannot be located in residential fund properties, uncompleted constructions, temporary structures, kiosks, open shelters and other similar premises; in buildings and constructions where children’s, educational, healthcare and sanatorium institutions are located; in buildings and constructions including bus stations, railway stations, river stations, river ports, airports, at stations and stops for any public transport(common carriers) for urban and suburban services, etc., as well as on plots of land where the above-mentioned facilities are situated. The law came into effect as of January 1, 2007. The gambling facilities which comply with the above-mentioned requirements may continue their operations till June 30, 2009, without obtaining permits for activities on gambling organisation and arrangement in gaming zones. Any gambling facilities that fail to comply with the requirements set out by the law shall be closed by July 1, 2007. Gambling operations using information and telecommunication networks, including the Internet, and communication means, including mobile communications, are prohibited. Gaming business licensing was also changed. In fact, there remained only one activity to be licensed – the organisation and arrangement of gambling in bookmakers’ offices and totalisators. In legal terms, gambling operations in casinos and slot halls will exist only on a pro forma basis as of July 1, 2007 and as of July 1, 2009, licensing will be completely substituted with a system of permits and shift to a regional level from a federal one. The latest edition of the law on gambling business falls on March 28, 2017. This Act regulates the legal framework of state control over the activities of institutions that organize gambling. The Act introduces restrictions on the exercise of this activity in order to protect citizens' morals and the legitimate interests of the population. Fyodor Dostoyevsky, a Russian who is considered to be one of Europe's major novelists, became addicted to gambling. ^ "Gambling Industry Flourishes in Russia". casinoman.net. ^ a b Simpson, Michael (8 October 2003). "Russian Roulette: Gambling in Russia". pravda.ru. ^ "Russian bookmaking industry: current state and growth perspectives. May 2017" (PDF). ^ "Gambling in Russia". russia-ic.com. ^ Federal law "On state regulation of organization and management of gambling..."
^ "Федеральный закон от 28 марта 2017 г. N 44-ФЗ "О внесении изменений в отдельные законодательные акты Российской Федерации в части формирования механизмов увеличения доходов субъектов детско-юношеского спорта и субъектов профессионального спорта"". Российская газета. A bookmaker, bookie, or turf accountant is an organization or a person that accepts and pays off bets on sporting and other events at agreed-upon odds. Gambling in Macau has been legal since the 1850s when the Portuguese government legalised the activity in the autonomous colony. Since then, Macau has become known worldwide as the "Gambling capital of the world" or "Monte Carlo of the East". Gambling in the United States is legally restricted. 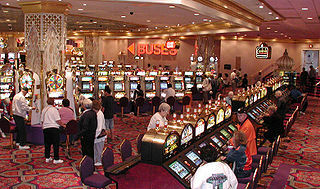 In 2008, gambling activities generated gross revenues of $92.27 billion in the United States. 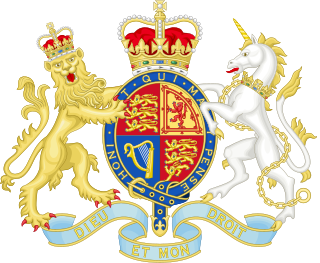 The Gambling Commission is an executive non-departmental public body of the Government of the United Kingdom responsible for regulating gambling and supervising gaming law in Great Britain. Its remit covers arcades, betting, bingo, casinos, slot machines and lotteries, as well as remote gambling, but not spread betting. Gambling is an activity undertaken by many Australians. Over 80% of Australian adults engage in gambling of some kind, which is the highest rate of gambling in the world. This number includes some 4% of the adult population who play the pokies once a week, accounting for some 62% of locals’ annual gambling spend. Gambling in Italy has existed for centuries and has taken on many forms. 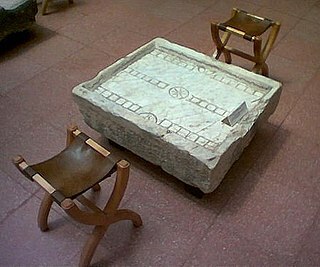 The history of gambling in Italy dates back to the days of the Roman Empire, when the predecessor of the modern backgammon, Ludus Duodecim Scriptorum became popular among the Roman legionnaires. It is also due to them that the game came to other European countries.